I’d use the knives for Mario’s garlic, rosemary and olive oil marinated grilled steak! Filet Mignon wrapped in double smoked bacon with a roasted garlic infused béarnaise sauce and a side of grilled rib-eye because meat. 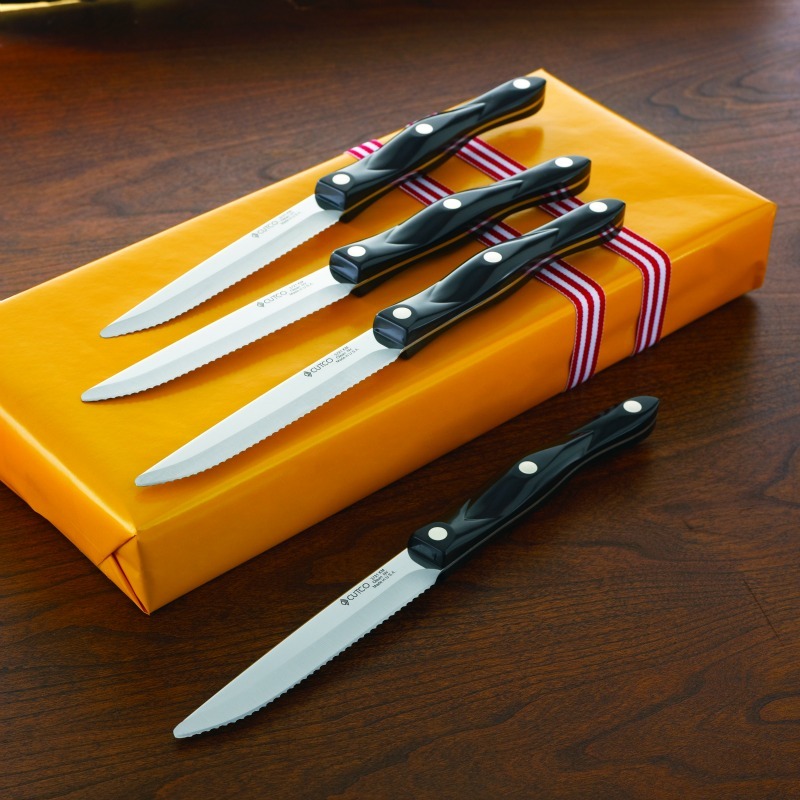 I’d use my new knives on a nice pan-fried steak topped with butter fried onions and blue cheese. Filet mignon on the bbq. Simple and delicious.